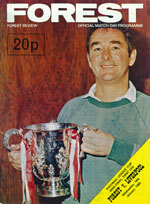 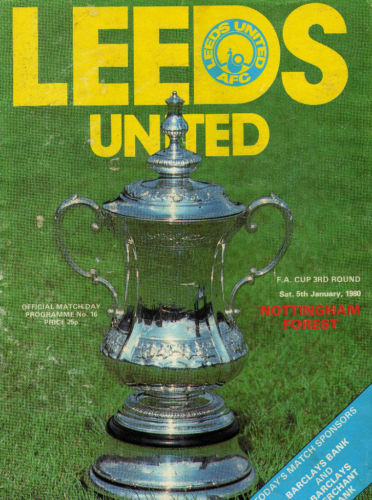 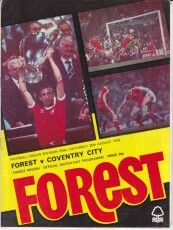 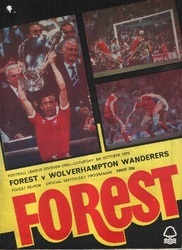 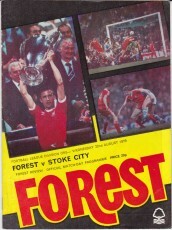 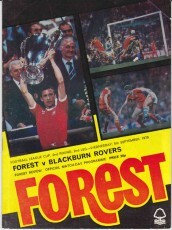 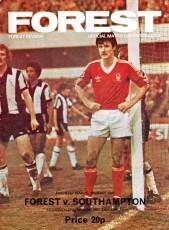 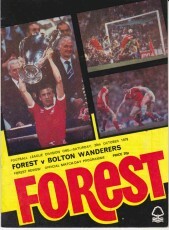 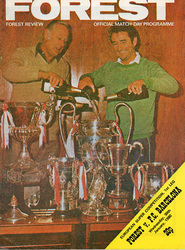 15 v Middlesbrough, - postponed, original programme + insert used for re-arranged fixture. 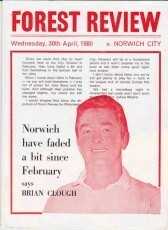 21 v Norwich City, - postponed, original programme + insert used for re-arranged fixture. (1) v Holsterbro BK (Denmark, pre-season friendly), 30/7/79. 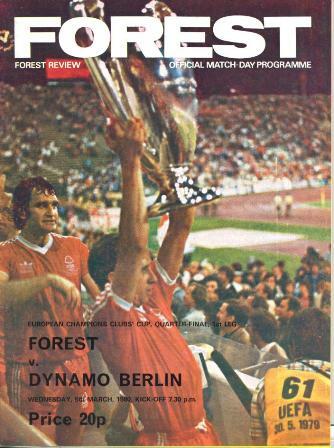 (2) v Bayern Munich (Germany, pre-season friendly), 1/8/79. 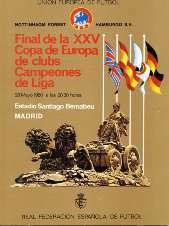 (3) - Bilbao Tournament (Spain, games v Botafogo, 9/8/79 & Dynamo Bucharest, 10/8/79). 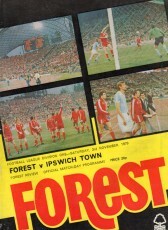 (4) v Ipswich Town, 18/8/79. 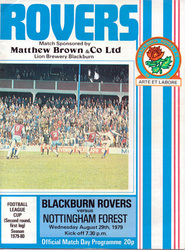 (5) v Blackburn Rovers (League Cup 2-1), 29/8/79. 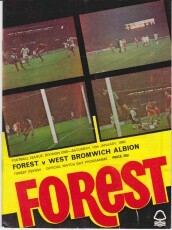 (6) v West Bromwich Albion, 1/9/79. 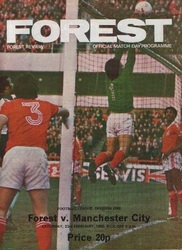 (7) v Norwich City, 15/9/79. 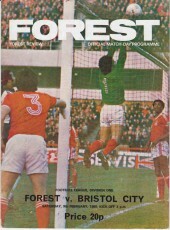 (8) v Bristol City, 22/9/79. (9) v Middlesbrough (League Cup 3), 25/9/79. 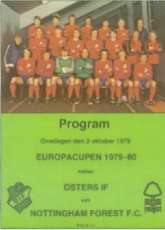 (10) v Oesters Vaxjo (European Cup 1-2), 3/10/79. 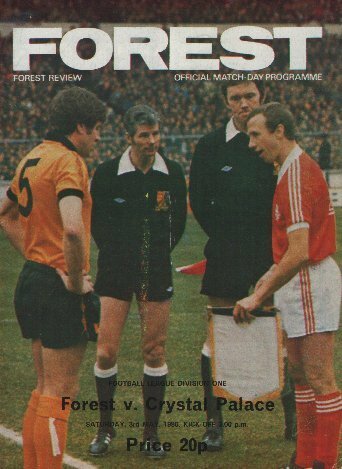 (11) v Stoke City, 10/10/79. (12) v Manchester City, 13/10/79. 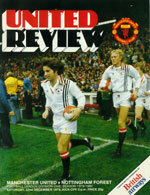 (13) v Tottenham Hotspur, 27/10/79. 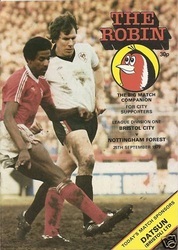 (14) v Bristol City (League Cup 4), 30/10/79. 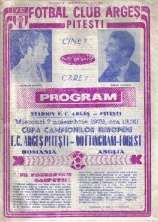 (15) v Arges Pitesti (European Cup 2-2), 7/11/79. 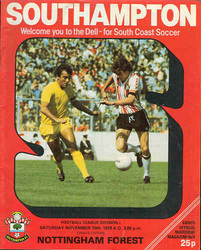 (17) v Plymouth Argyle (Ellis Stuttard Testimonial), 12/11/79. (18) v Derby County, 24/11/79. (19) v West Ham United (League Cup 5), 4/12/79. 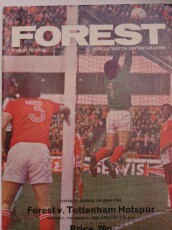 (20) v FC Cologne (Germany, for the Tony Woodcock transfer), 18/12/79 – single sheet issued to the press only. 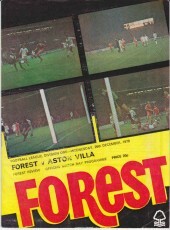 (21) v Manchester United, 22/12/79. (22) v Coventry City, 29/12/79. 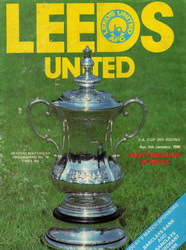 (24) v Leeds United (FA Cup 3), 5/1/80. 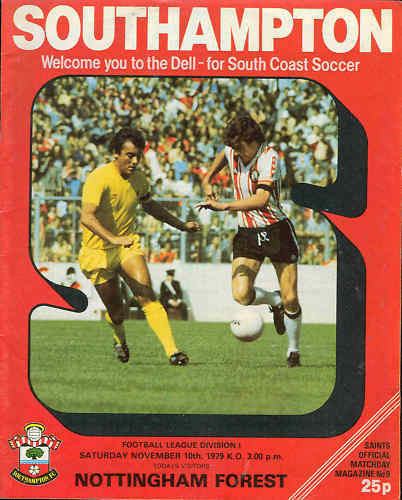 (25) v Gravesend & Northfleet (Switching on of lights), 8/1/80. 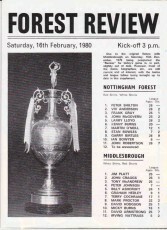 (26) v Leeds United, 19/1/80. 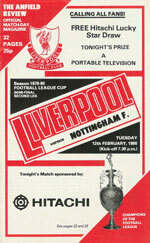 (27) v Liverpool (League Cup Semi Final 2), 12/2/80. 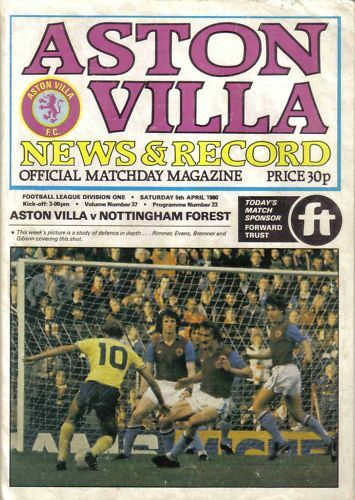 (29) v Bolton Wanderers, 1/3/80. 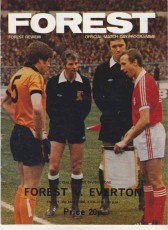 (30) v Wolverhampton Wanderers (at Wembley, League Cup Final), 15/3/80. 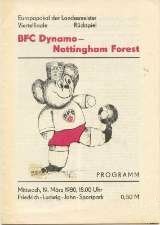 (31) v Dynamo Berlin (European Cup QF 2), 19/3/80. 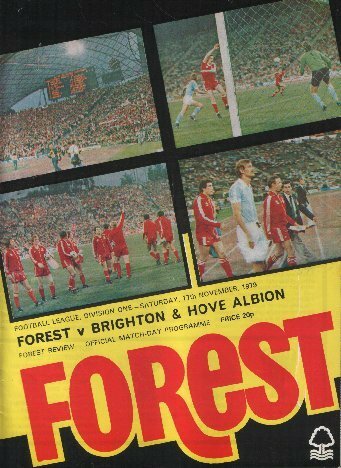 (32) v Brighton & Hove Albion, 29/3/80. 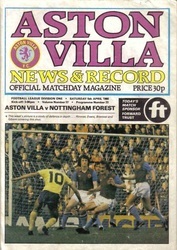 (33) v Aston Villa, 5/4/80. 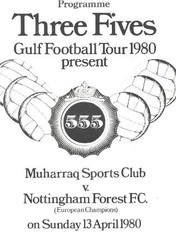 (34) v Emirates Sports Club (Saudi Arabia, in Iran, friendly), 11/4/80. 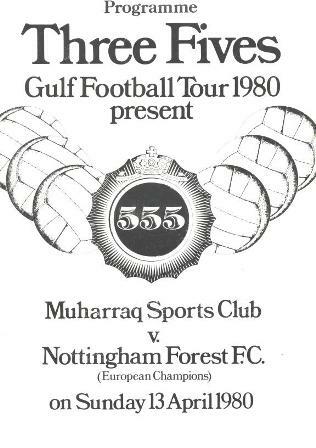 (35) v Muharraq Sports Club (in Iran, friendly), 13/4/80. 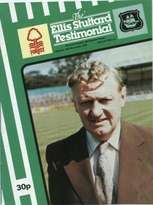 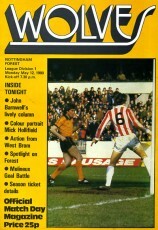 (36) v Lincoln City (Bert Loxley Testimonial), 16/4/80. 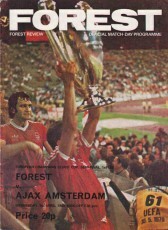 (37) v Ajax (European Cup SF 2), 23/4/80. (40) v Wolverhampton Wanderers, 12/5/80. 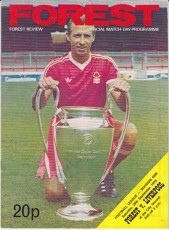 (41) v Hamburg (Germany, in Madrid, European Cup Final), 28/5/80. 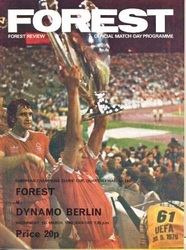 (1) Montpellier (France) v Nottingham Forest (Pre-season friendly), 14/8/79. (2) Cairo XI (Egypt) v Nottingham Forest (Friendly), 27/11/79. 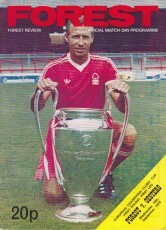 (3) Barcelona v Nottingham Forest (UEFA Super Cup 2), 5/2/80. 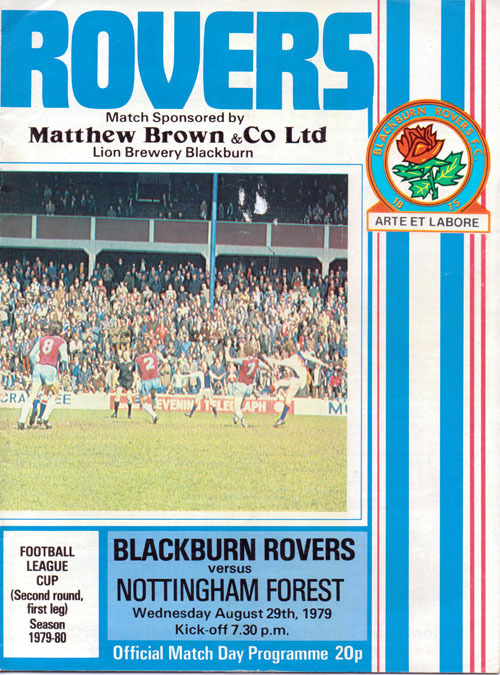 (4) Stade Brestois (France) v Nottingham Forest (Friendly), 10/5/80.